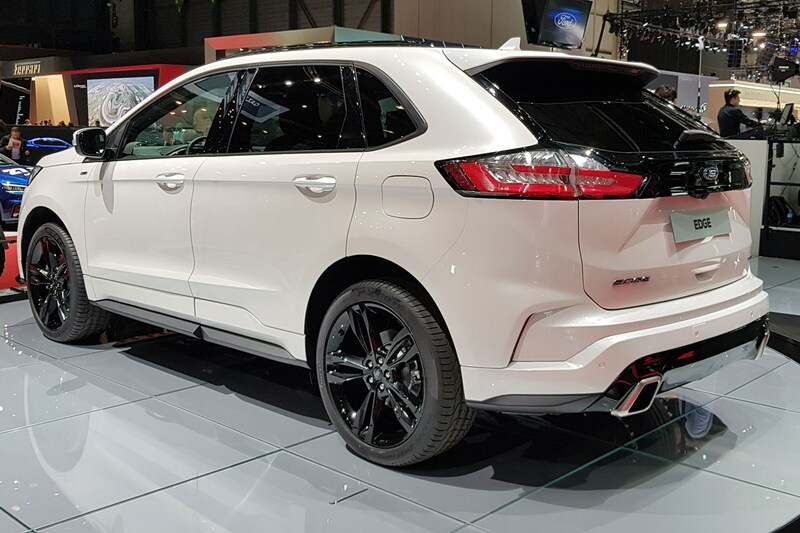 Ford's new Edge SUV has arrived in Europe, making its debut at the 2018 Geneva motor show. 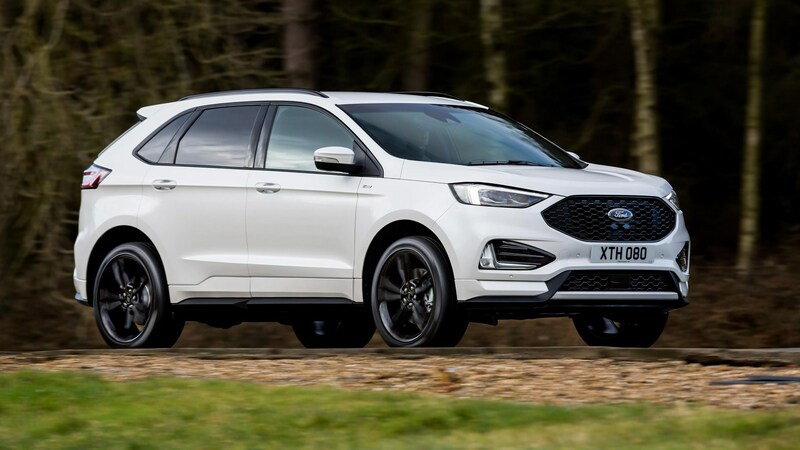 At the brand's press conference, President of EMEA at Ford Steven Armstrong, introduced the updated five-seat 4x4 as the latest ST-Line model in Ford's growing range. Not only showing off a new look, the new Edge has a fresh engine that's been added to its line-up and more tech on board. 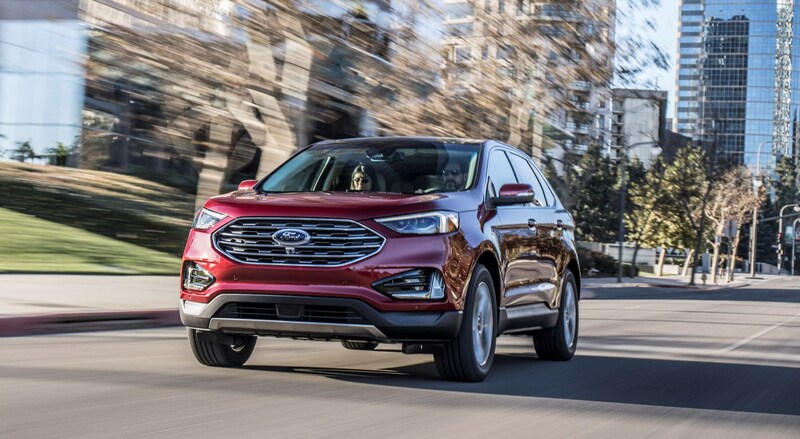 Keep reading for all we know on the new Ford Edge. 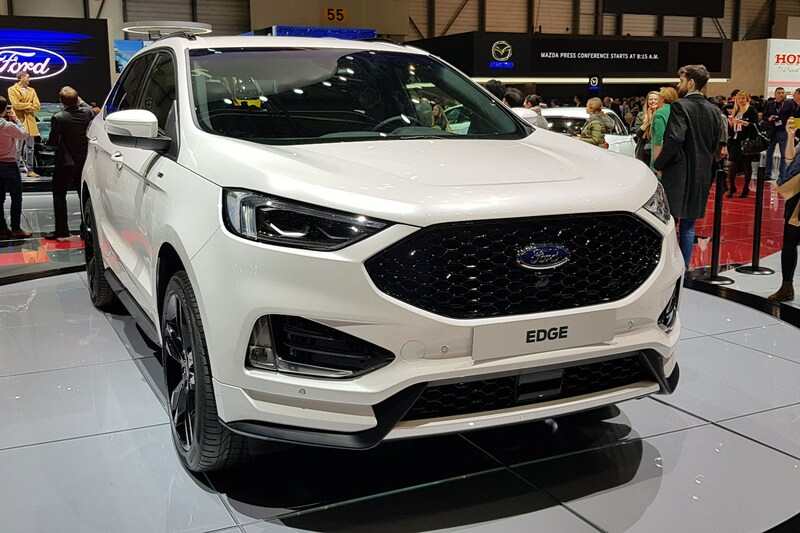 What's new for the European Ford Edge? While the US gets a top-end Edge ST with an EcoBoost V6, the sportiest one we'll get in Europe is the ST-Line. The biggest headline, though, is the addition of a 2.0-litre EcoBlue diesel engine, capable of pumping out 234bhp and making it the new range-topper in the European line-up. 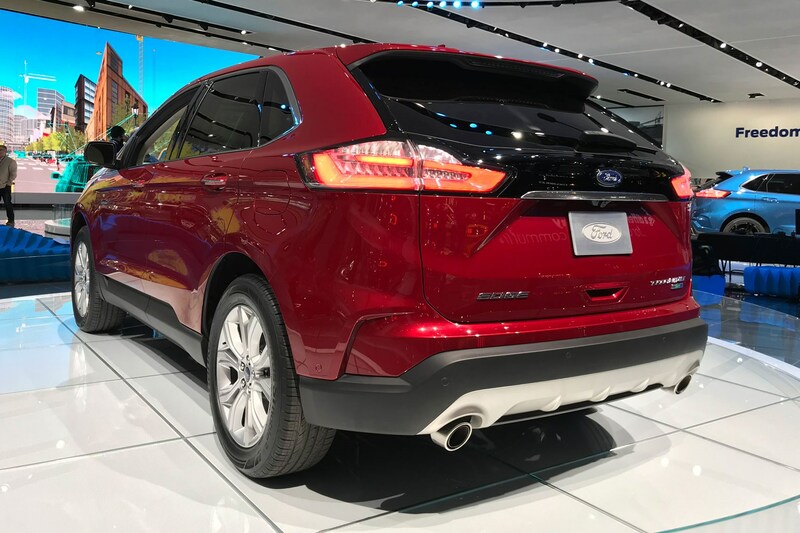 Alongside the new engine offering, the new Edge also comes with post-collision braking, evasive steering and stop-and-go adaptive cruise control with lane centring. Sync 3 means the new Edge sports a 8-inch touch screen, while wireless phone charging and a 1000 watt system is also available – albeit as an option. 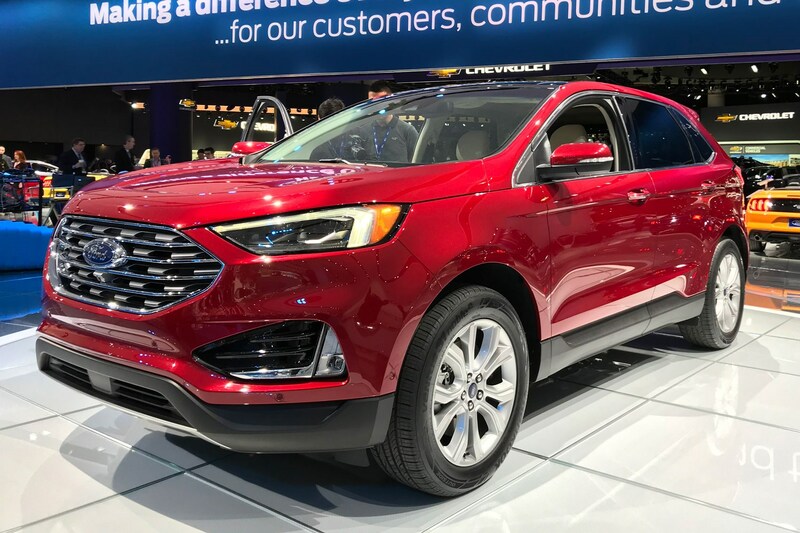 What about the US model Ford Edge? It's more interesting for those living in the US. Ford has also announced an ST version of the Edge, and the specs suggest it’ll bother some hot hatches. 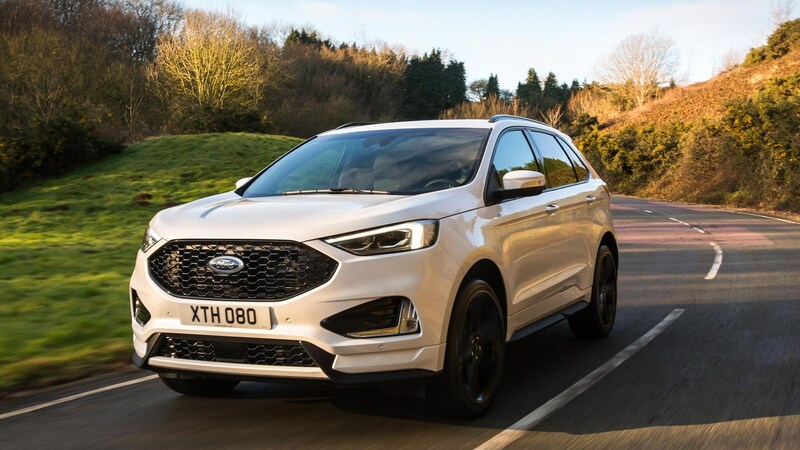 The Ford Edge ST is the first SUV to be tuned by Ford Performance, using an Ecoboost 2.7-litre V6 engine with twin turbos to deliver 330bhp. Ford says the car will feature a new Sport mode with sharper throttle response and shifting behaviour, plus a tuneful exhaust note. 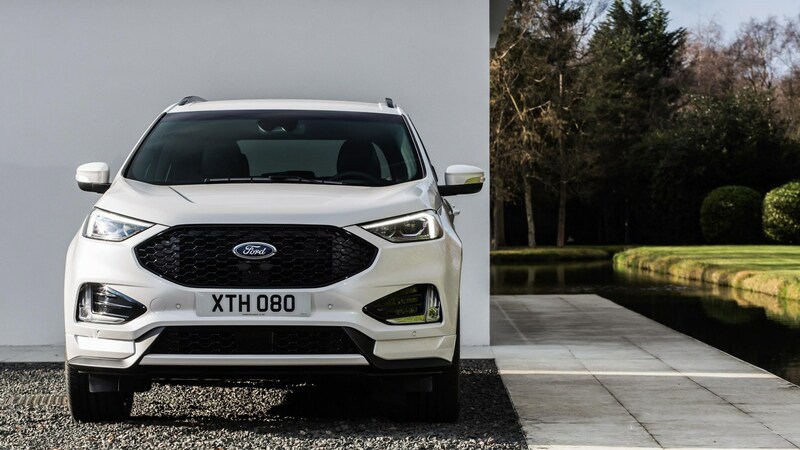 What else is new on the facelifted Ford Edge coming to Europe? New styling will set the ST aside from the standard updated Edge, with a wider mesh and side skirts ideally conveying a more powerful stance to the ST.
Ford will also fit unique 21-inch wheels to the Edge ST, to make sure it’s not mistaken for the standard model. The only issue? It’s only coming to the US market. In Europe, we’re still going to get the updated styling, fresh grille, new in-car technology and semi-autonomous driving assists – but there’s no change to the all-diesel range we’ve already got. Which is disappointing. Step into the cabin, and the Edge shows Ford’s renewed commitment to technology. SYNC 3 means there’s a wireless charging pad for compatible smartphones, and if you choose you can get HD Radi. There’s a WiFi hotspot that’ll let you connect up to 10 devices, too. Prices haven’t been released yet, but Ford expects the new Edge to be in UK dealers in autumn.